What principles or broad policy issues should be occupying our attention as we consider the subject of drug safety some 29 years after the thalidomide disaster of the early 1960s? In the United Kingdom, the Medicines Act of 1964 was a direct outcome of the thalidomide disaster and this Act introduced an integrated drug regulatory process in which the safety, efficacy and quality of a medicine are considered together as a comprehensive scientific whole. So we do not have a long experience in the modern process of drug registration and regulation, and we should accept the need for humility in discussing principles to lead us into the future. 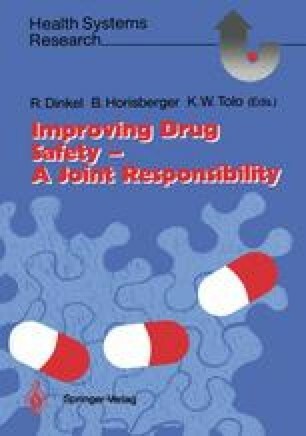 We need to be careful in changing the processes and procedures that we use in controlling drug safety, but changes will necessary. The views expressed in this article are, of course, those of the author and are not necessarily those of other members of the Consultant and Pharmacoepidemiology Groups of RAD-AR UK.